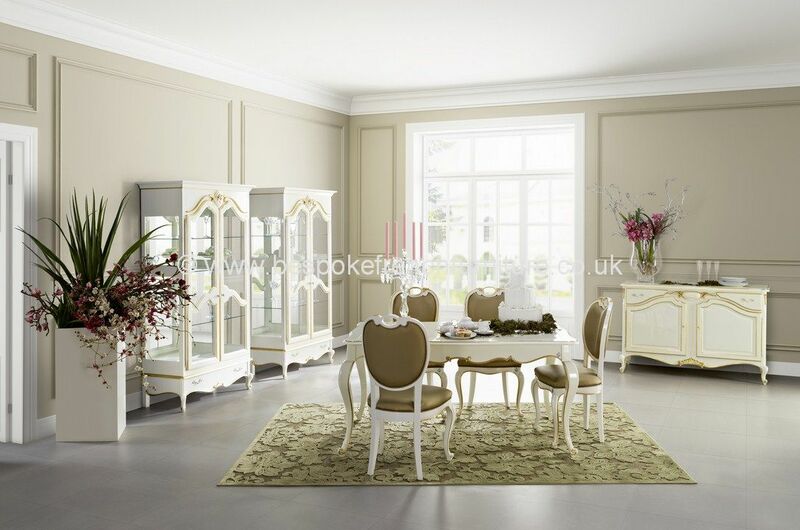 From our Collection of designer furniture is this beautiful living room collection showing Glamour dining table with four chairs, a side cabinet and two glass display cabinets. All of these pieces are available separately and, of course, you may add or remove pieces from this collection to suit your requirements. 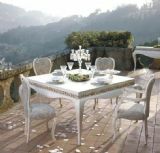 Our luxury furniture collection is hand made and finished to special order with delivery normally taking 4-6 weeks - the exact time will be confirmed when ordering. 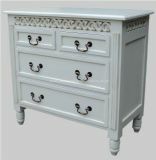 We offer many other complementary pieces in our designer collection - please enquire for full details. Colour/Finish: Depicted here are examples of the many finishes available. We can offer a range of colours in matt or gloss and we also offer finishes in gold, copper or silver leaf. Simply tell us your preference and we will explain the options available together with any extra costs that may apply to non standard finishes.